When you switch on BBC2’s Newsnight and find that it’s being anchored, not by Jeremy Paxman, but by Kirsty Walk, Gavin Essler or Emily Maitlis, there’s a palpable sense of disappointment – alert and professional as these presenters are, they’re not Paxman and don’t create the same frisson of anticipation in the majority of viewers. Much the same applies whenever Pat Kenny is absent from his RTE Radio 1 morning show. His occasional stand-ins – Myles Dungan or whoever – do a perfectly good job, but somehow the notion of spending two uninterrupted hours in their company isn’t quite so compelling and you find yourself attending to other chores. By such criteria can outstanding broadcasters be judged, and it’s all to do with the sense of authority they project – a mastery of their medium and of their brief that’s so confidently expressed it frequently discomfits interviewees (particularly of the political, business or union cast) who are more prone to platitudes than plain-speaking. The prospect of that happening makes for unmissable listening. And while Kenny usually isn’t as combative as the confrontational Paxman, his less aggressive manner doesn’t conceal a steeliness that refuses to let recalictrant, prevaricating or mealy-mouthed interviewees off the hook. attack dog doesn’t allow him to show a properly rounded and sympathetic personality (though his fronting of the current BBC1 series, Empire, reveals an engagingly human, sometimes even gauche, side to him). Kenny, on the other hand, has been required to encompass a brief that’s much wider than current affairs. 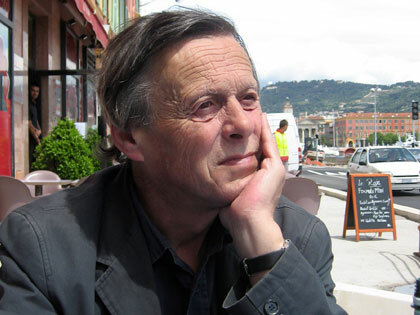 In his Late Late Show years this tended to expose the awkwardness of an essentially serious man when asked to perform outside his comfort zone (encounters with Dawn French, Jerry Seinfeld and Pete Doherty spring to mind), but on his radio show he moves with ease and fluency between hardline journalism, high and low culture and human interest stories. Indeed, he occasionally evinces a playfulness and pleasure in trivia that weren’t evident in his uneasy decade under the glare of the Late Late’s cameras, while his interviews with people who’ve been wronged or victimised or are otherwise socially or personally vulnerable are notable for their empathy. 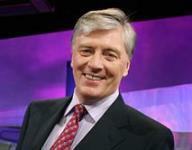 These are qualities that come through most strikingly in his radio show, and though he can also elicit telling stories from audience members in RTE1’s The Frontline, his chosen role there is less pro-active than that of a moderator allowing people to have their say – often too many people in a format that has difficulty in finding the right balance between furthering political debate and encouraging audience recrimination. Yet with little competition from Primetime, which has become dismayingly inconsistent and toothless, The Frontline remains RTE television’s main forum for political and social debate – the programme to which the viewer turns in anticipation, or at least expectation, of provocative discussion, not least because of the reputation for rigour and integrity that have become synonomous with its host. So has this reputation been damaged by the fall-out from the show’s presidential debate last October? Well, the Broadcasting Authority of Ireland has upheld Sean Gallagher’s complaint about the bogus tweet that immediately led to the scuppering of his presidential chances, and it has also ruled that the “unfairness” of this was “exacerbated” when Kenny failed to address the matter of the tweet’s provenance on his radio show the following morning. But there has been no suggestion that Kenny himself behaved in any way wrongly on the fateful night or underhandedly the next morning, while the recent allegation that an audience member was coerced by someone on the Frontline team into asking Gallagher a loaded question doesn’t imply that the host had any knowledge of such an occurrence. Indeed, even Kenny’s detractors have never had reason to question his probity. They can accuse him of being touchy (tearing up a woman caller’s tickets when she declared no interest in attending the Late Late’s toy show) and testy (furiously telling sanctimonious SIPTU boss Jack O’Connor, who accused him of owning a “trophy” house, that he didn’t want to hear “this crap”) and occasionally intolerant (he doesn’t suffer fools gladly) – but no one has ever accused him of having any kind of agenda, whether political or personal. And it’s because of this – along with intellectual and communicative skills which remain unmatched in Irish broadcasting – that his standing continues to be so high among viewers and listeners who want facts to be explained, truths to be told and public figures to be held to account.